During my time with the Harpoon RGB Wireless, I had a really great time testing out its wireless capabilities, sensor performance, and battery life. Its wireless capability performed well and I did not notice any stutter or hiccups during my time with it. The wireless dongle was plugged into the back of my PC, which was a good four feet away from the mouse. Response time was very good as it felt no different than using it under wired mode. Battery life was pretty good as it lasted a good few days with on and off gaming sessions. This was with the lighting on, but without lighting effects, I would imagine the battery life would last much longer especially through bluetooth. On the Corsair website, they state the battery should last up to 60 hours via bluetooth. Sensor performance was good as I did not notice any sort of acceleration or major issues during my tests. Lift-off distance was just a little too high for what I was used to, but I was able to overcome that after a few minutes of gaming. 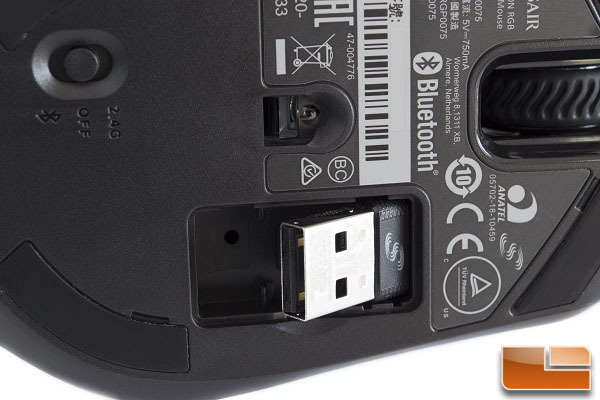 I was not too sure if this sensor was based off of any previously built sensors, but it reminded me of the 3310 optical sensor, which is still my favorite sensor in an entry-level gaming mouse. It was probably not based off of the 3320 optical sensor either, as that sensor had a lot of acceleration making it not ideal for fast paced games. But for the performance it delivered, the 3325 optical sensor did perform better than what I had anticipated. It was great to see a small compartment underneath the Harpoon RGB Wireless for storing the wireless dongle. This gave the mouse a sense of portability if the user wanted to move from one computer to another. 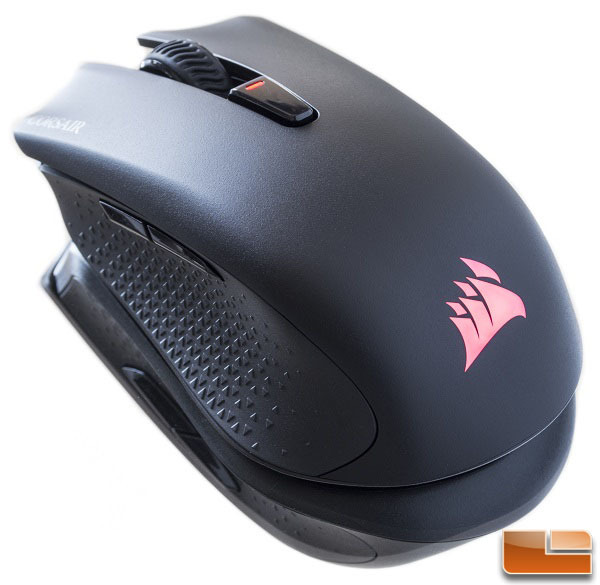 However, I would have loved to see onboard hardware profiles to store lighting effects and DPI settings in the mouse, similar to the Corsair Ironclaw RGB gaming mouse and other recent Corsair gaming products. This would have really made the Harpoon RGB Wireless portable when it came to traveling. 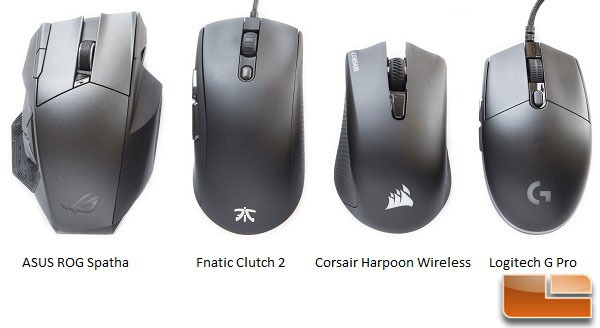 When putting the Harpoon RGB Wireless next to a few other gaming mice, we can see it is about the same size as the Logitech G Pro gaming mouse. The G Pro is basically the same size as the G305. As for comfort, I find the Harpoon RGB Wireless to be more comfortable than the G Pro (G305). This is because I am not a fan of the ambidextrous body shape on the Logitech mouse. The side buttons on the Harpoon RGB Wireless were rather small making them difficult to access in game. The two buttons were so close together without much separation and distinction between the two. This made it difficult to tell which button was which. If they were bigger in size like on the G Pro, it would have made accessibility easier. For the price, I am very satisfied with the wireless and sensor performance with the Harpoon RGB Wireless mouse. 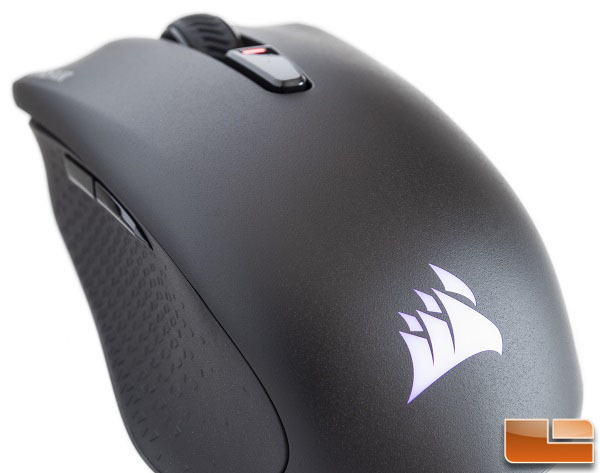 The only thing I would improve on this mouse are the side buttons and the ability to store onboard hardware profiles. The side buttons are just too small, making them difficult to access in a fast pace game. Having the ability to store onboard profile settings, like lighting effects and DPI settings, will make the mouse much more portable without the need of having the iCUE software running in the background. Battery life can last up to a couple of days depending on the usage, but this depends on several aspects. The battery may not last as long as the Logitech G305, but the Harpoon RGB Wireless is more affordable. Overall, the Harpoon RGB Wireless gaming mouse makes a great wireless gaming mouse for anyone who is in the market for an affordable gaming mouse with good performance and battery life. It may not have a top optical sensor or the longest battery life, but it does get the job done for what it is worth. At $49.99 shipped at Amazon, it is cheaper than even some of the wired alternatives, as most wired gaming mice are priced slightly higher. 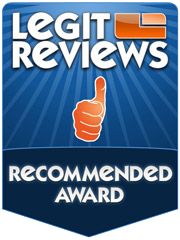 For that, I am giving this mouse a recommended award simply because it performs great, but still has a few areas in need of improvement. Legit Bottom Line: The Corsair Harpoon RGB Wireless gaming mouse offers good wireless gaming performance without sacrificing gaming and battery performance. This budget friendly mouse is a great wireless mouse if you want to step away from cables without spending too much money.